Serenity is like no other Tiara 50 Coupe you will find on the market. With only 350 hours on the engines, the boat is in perfect condition for a new owner. She has had a complete refit by Philbrooks boat yard, in excess of $200,000. This includes almost every aspect of the boat from bow to stern. Her knowledgeable owners have spared no expense upgrading and servicing. As you can see in the photographs, her exterior gel Maserati blue coat is bright and shiny without a scratch on it. Her factory bottom paint has been sanded to the gel and five coats of new bottom paint have been applied. A water maker and a new Wabasco water heater have been installed, allowing for endless hot water. All interior soft goods are new; all seating areas have been reupholstered with designer materials. Her hardwood floors have been replaced, new macerating toilets have been installed along with an overboard discharge system. The a/c and heating system has also been replaced. She was hauled out, allowing the engine shafts to be oiled and prop speed applied to the pods. Serenity shows better than new. Serenity features sought after factory options and over 30 additional custom options listed. Highlights include: Fisher Pakel dishwasher, Nespresso coffee maker, an all chain windlass, 70” Integrated hydraulic swim platform w/teak, flush mounted dinghy chalks, teak aft table and trunk lid (in lieu of Corian), teak aft decking, electric grill, KVH Track Vision, teak interior in lieu of carpet, flat screen TV with sound bar in master, Garbage disposal, Upgraded Fusion stereo system with added speakers throughout and Bluetooth capability. Upgraded Stidd 500W 1.5-person helm seat has been added as well. Serenity is freshwater kept in a boathouse at the Seattle Yacht Club. She is very competitively priced at $1,095,000, making her the best optioned and valued 2015 50 Coupe on the market. She has full Tiara and Volvo warranties through November of 2019. Owner is willing to ship Serenity anywhere between Seattle and Southern Florida. This is a must see luxury yacht that is turn key ready. 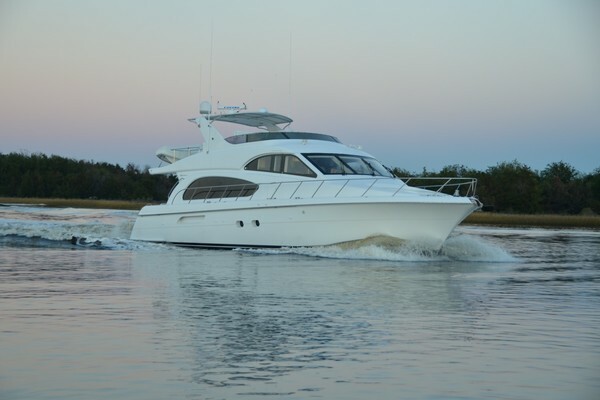 West Florida Yachts would love to guide you through a personal showing of this 50' Tiara 50 Coupe 2015. This yacht for sale is located in Seattle, Washington and priced at $1,085,000. For a showing please contact us by filling out the form on this page and we will get back to you shortly! The Tiara 50 is powered by twin Volvo IPS propulsion systems in standard IPSII 800 or optional IPSII 950 configurations. The technologically advanced Volvo IPS power plants are matched to a successful ocean proven hull delivering a solid ride whether you’re enjoying a calm day cruise or pushing the vessel to get you to your favorite island getaways far offshore. The salon features a single level deck from the cockpit forward to the bridge where a single step separates entertaining from the business of operating the vessel. One of the few designs that have not seen significant change will be the helm and dash featuring sensible ergonomic placement of controls and gauges leaving plenty of room for flush mounting electronics. The smart and modern Tiara 50 seamlessly blends the strength and performance of the machine with the elegance of interior design and fabrics throughout. The full beam master lets the sun shine in through large windows port and starboard. The head with private shower has external venting. Large hanging lockers, cabinetry and a private sitting area all compliment the master. The master opens to a common atrium with a large pantry and washer/dryer concealed within a port side closet. The optional third stateroom would delete this option. The head is shared between the atrium and forward queen VIP Stateroom. 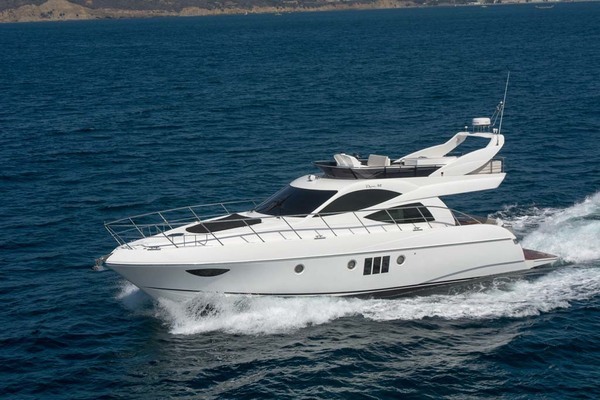 True to the yachting lifestyle, most of your time on a Tiara 50 will be spent entertaining in the salon and cockpit. The aft galley contains all the major appliances and large counter spaces to match. Quick and convenient access to the cockpit lounge seating and optional teak dining table make for effortless entertaining and dining. An optional hydraulic swim platform with access port and starboard by broad, safe steps brings you to the water world and can function as dinghy storage while underway. You can also utilize the storage space in the over-sized trunk engineered into the transom. The swim platform will feature drink holders at the water level, custom molded handholds and a smart ladder system for ease of entry. DuPont Custom Color Boot "Pearl White"
battery system with batteries & remote battery switches. Four (4) engine batteries & (6) house batteries.